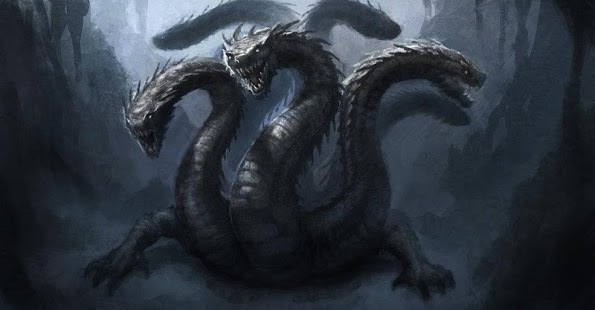 The Lernean hydra (ancient Greek Ὕδρα, “water snake”) is in Greek mythology the daughter of Typhon and Echidna , a snake-like monster with poisonous breath, who lived in groundwater, killed by Heracles as one of his twelve feats. She was nursed by Hera. She was called the Lernean Echidna, many heads instead of one, Instead of one severed head, she had three new heads and an average head spewing flames.